Lovely food and extremely welcoming staff. Nice restaurant with attentive staff, good food and pretty decor. Lacking q bit of atmosphere but probably because we had an early reservation. Maybe darker lighting would help to change the ambience. Visitied this restaurant twice recently, once with friends & the other time with work. 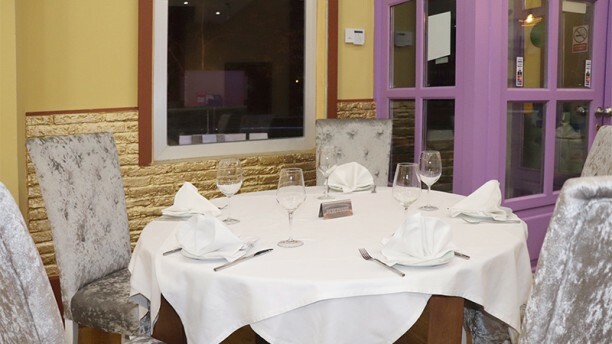 On both occasions the service was fantastic & the food was of an excellent standard. I would definitely recommend. Excellent food and very good hospitality. We really enjoyed the service and the food. The waiters were very kind and polite, and the food, really exquisite. I have tried Indian food in the US and other places in Spain, but this one by far has been the best Indian food experience I have had. Congratulations to the chef and the staff! Sitio estupendo con trato exquisito y platos fantásticos. Repetiremos seguro. Servicio excelente. Repetiré sin dudarlo.